The aim of the wine company ‘Le Bertole’, and specifically of its owners, Gianfranco Bortolin and his wife Viviana Damin, consists in producing high quality wines and sparkling wines with organoleptic characteristics which come from the best grapes and letting known everywhere the area of Valdobbiadene, a cultural, historical, and natural jewel located in the hills of Treviso from which the valuable DOCG Valdobbiadene Prosecco Superiore derives. Here the tradition in grapes growing gets back to 1930, the year in which the first vineyard was purchased. Since then, workings and cares devoted to the vines have increased, thanks to passion and dedication handed down from generation to generation. In the Eighties the Bortolin family started the first winemaking and in 1997 Le Bertole was officially born. Today, the production of this company is of about 250,000 bottles a year. 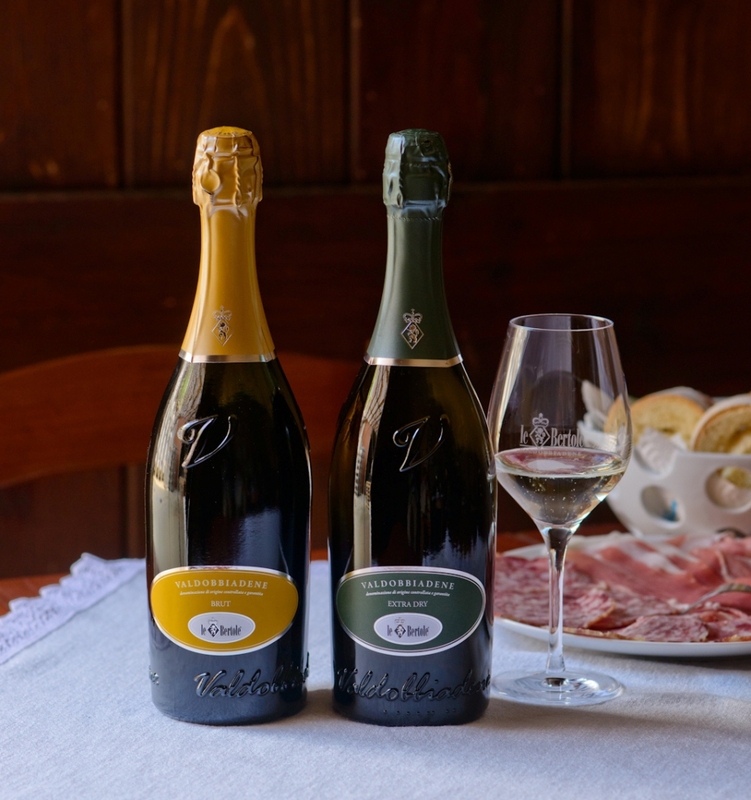 The wines are part of the historic line of the company, mainly consisting in DOCG Valdobbiadene Prosecco Superiore - in its Brut, Extra Dry, Dry e Superior Cartizze versions – to which sparkling and still wines and a limited production of Grappa, the Acquavite d’Uva da Prosecco, and Passito add. The DOCG Prosecco Superiore Brut is a sparkling wine with a strong and definite personality, produced with Glera and Verdiso grapes. Its colour is pale yellow, it is rich in scents with hints of citrus, green vegetable, and delicate sensations of ripe fruit. Its flavour is dry, full-bodied, well balanced, with a slight bitter aftertaste. It has been produced in the company since 2005 in about 20 thousand bottles per year and accompanies appetizers, first courses, fish-based menus, and has the privilege of being pleasant for the whole meal, too. It is mainly required by the food service channel and small distributors, both in Italy and abroad, especially in Belgium, Switzerland, Germany, Russia, Spain, Japan, and Slovakia. The same markets are also reached by the DOCG Extra Dry Prosecco Superiore and DOCG Supreme Dry Prosecco Superiore. The first one has been produced since 1997: the 140,000 bottles per year of this classic and timeless sparkling wine looks brilliant pale yellow, with lively, fine, and persistent perlage. Its charming and complex scent reflects aromatic hints, which remind apple and pear with floral nuances, while its flavour expresses a strong balance and harmony: it is very tasty, slightly soft and at the same time dry. The delicate fullness of its flavour makes this wine suitable for all tastes and it is ideal as an aperitif, with delicate appetizers, seafood and white meats, or in combination with fresh cheeses and dry pastries. The DOCG Supreme Dry Prosecco Superiore is the third ‘gem’ of the company. It has been produced since 2003 in about 16,000 bottles a year. It is an excellent sparkling wine, obtained thanks to a rigorous selection of Glera grapes, elegant and characterized by a higher quality than average for the unique climatic conditions of the grape varieties chosen. Its scent looks wide, with fine and complex aromas of fruit. Its flavour is delicately sweet, in harmony with its fineness and savouriness. It is ideal as an aperitif or with dry pastries, and becomes a ‘jewel’ in the important feasts. 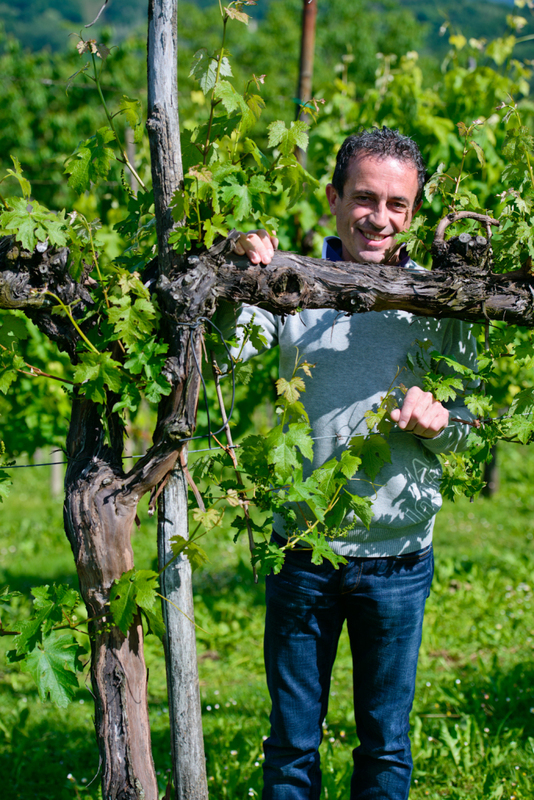 Gianfranco Bortolin explains: «These wines are historical types for DOCG Valdobbiadene Prosecco Superiore, certified and produced by means of environmentally friendly practices, in full respect of the Production Rules of DOCG designation Conegliano - Valdobbiadene. Our strategy for establishing ourselves in the market, both in Italy and abroad, aims at high quality of our products, their image, characterized by elegance, refinement, and tradition, and in addition we intend to help our territorial identity to emerge. Then, the services offered to customers are also essential, in terms of preparation and availability, as well as training for our sales force. For the future, we aim at consolidating our presence in the markets we have already achieved and expanding exports, especially to United States, Britain, China, and Brazil». Oval frontal labels, pearly yellow mustard colour for the Brut version, pearlescent green and bronze for Extra Dry and Supreme, combined with back labels and capsules, finished with delicate silver lines; glass bottles characterized by green oak colour, corks in agglomerate material with double washer, cage customized with company logo in aluminium and labels in adhesive paper wine. In addition, for Extra Dry, special sizes, Magnum, Jeroboam, and Mathusalem, with either cases in cardboard or wooden boxes. Le Bertole studied a refined packaging for the sparkling wines DOCG Valdobbiadene Prosecco Superiore, with the specific aim of maximizing their quality and elegance, enhancing both corporate identity and territorial one. The owners explain: «For this reason, for this line we use the bottle designed by the ‘Confraternita di Valdobbiadene’ granted only to the companies which meet certain criteria. On it, just the word 'Valdobbiadene' is engraved and our brand is also present on both front and back of the bottle, so helping to strengthen the image of our company».